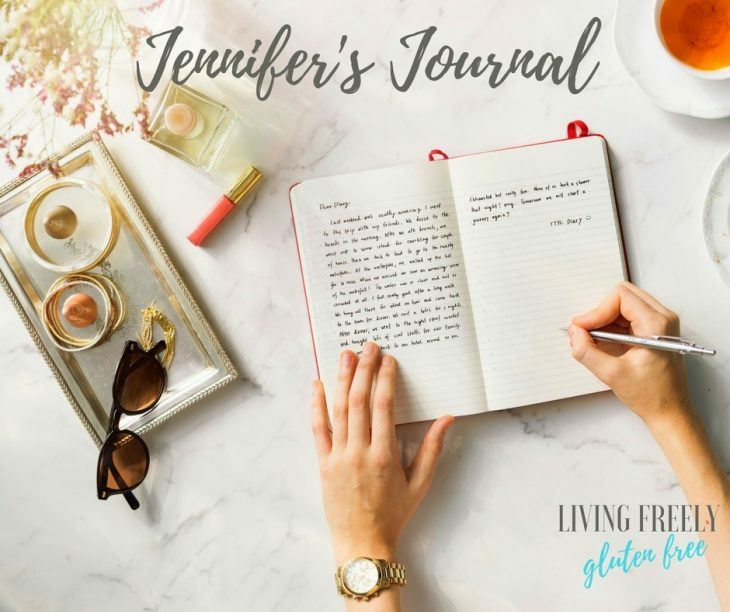 Jennifer's Journal. I wanted to give everyone the opportunity to hear the behind the scenes. This is my first ever Jennifer’s Journal entry! I’m excited and kind of wondering how this will go. I wanted to give everyone the opportunity to hear some “behind the scenes” of my life, the blog, my family, and everything in between. I want to bring you into my world a bit. Will you join me? If you don’t know much about me, here is My Story. 2017 has by far been the most expansive year of my life. It’s been a whirwind and I have no clue where the time went. I literally have been knocked down a million times and had to pick myself back up to continue making it happen. Being a mom is a job in itself, especially when your kids are small. Mine are 6 and 3 right now. They are wild, crazy, and weird. I love them with every bit of my being and they are my life. However, this cookbook and blog has been my dream for so long that balancing the two makes me constantly feel like I’m burning the candle at both end. No lie, sometimes I do burn out. 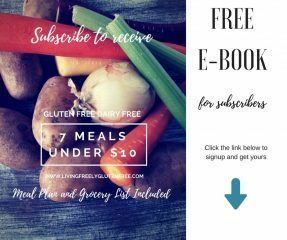 I’ve wanted to publish my own cookbook since I was very young, before even being gluten free. I decided this was the year to do it and it was a risk, financially and emotionally. I self published a book and I am so proud of myself. It is still terrifying at the same time because the cost is scary and I’m not out of the red yet, but I am confident that things are only going up from here. I am very proud of it. This year I was lucky enough to spend Thanksgiving with my family in California. Goodness, I miss them so much that my heart constantly hurts. A part of me wants to go back to be with them, but I wish they would just come up to Washington! The universe often reminds me that Washington is where my business will grow. Anyhow, let’s get back to this month. I broke through so many barriers this month and cooked live on a local talk show called New Day Northwest. Other huge bloggers such as Nom Nom Paleo have been on this talk show and I was honored. I was terrified and had 2 days notice, but I did it! I feel like I did great for a first timer. It lit a fire in me too. Food Network, here I come! Christmas is already just a couple days away! The kids are super excited. We took them to the North Pole to see Santa. The North Pole is this super cool place at the Washington State Fairgrounds that has toys and all kinds of fun role play activities. We love it! 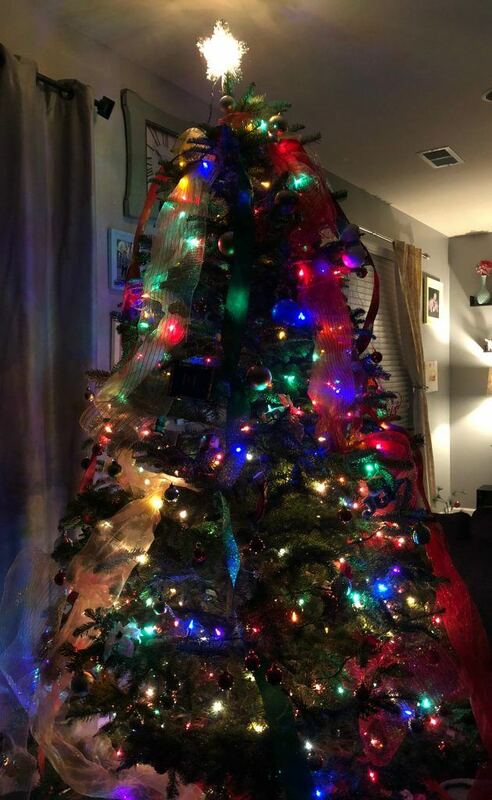 Here is our Griswold tree. You can read more about this experience in the Chocolate Cupcake with Buttercream Frosting post. My 6 year old has been acting out a bit lately and I think its because his conscious has gotten to him. He has been telling us that he is on the naughty list. Man, kids are tough. We are planning to go to a nearby town that has a huge light display show this weekend. We LOVE looking at Christmas lights. For Christmas, I will make cinnamon rolls for breakfast. They are so freaking delicious. I hope you will give them a try. Dinner will consist of ham, mashed potatoes, sweet potatoes, roasted carrots, and green beans. I still haven’t decided on dessert, but it will be pie. Cherry, apple? What do you think? This will be our third Christmas away from family and it NEVER gets easier. Each year gets harder and makes me want to go home even more. Ugh! Luckily my mom comes to visit in February for a week. I wish I could keep her. I’m fighting a cold right now and baking a million cookies at the same time to give out for Christmas and to hand out as samples at a book event I am doing tonight. I also met with Whole Foods today to talk about collaborating. It looks like I will be doing some work with them in the new year and I can’t wait!!!! As this week comes to an end I want to thank you for joining my journey and I hope that I might help you along yours.